Since 21st of March, I have been staying in Lincang, Yunnan. I am staying in the base town, where is a strategic location for me to access various tea mountains. I am staying here for a month. The weather this year is very strange. It has been extremely dry since last autumn. The tea producers live on mountain told me that since Chinese New Year till the mid of March only experienced rain 2 times. 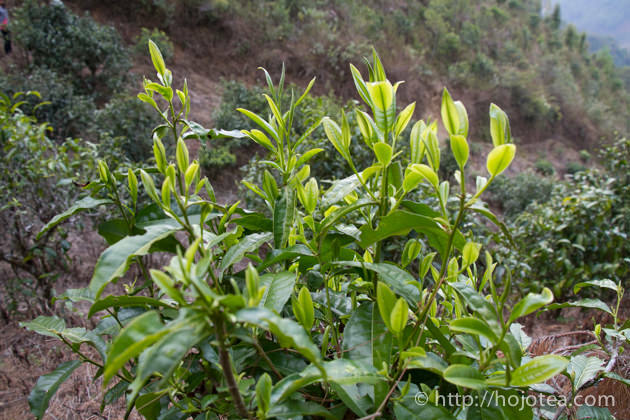 Usually, tea grows slower when there is less rain and it is ideal in terms of the quality. However, too little rain is not very ideal indeed. 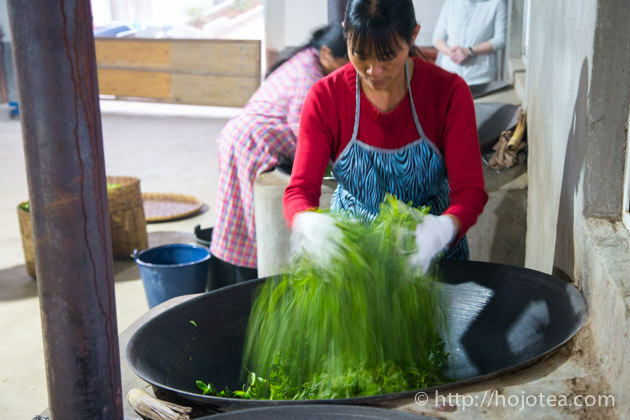 In ordinary year, now is the busiest time for spring tea plucking and production. However, at the moment most of the tea manufacturer seems to have a lot of free time. Some tea manufacturers focus on tea from lower altitude, and normal garden tea that grown with fertilizer seems to be busy in collecting fresh tealeaf, while those tea manufacturers involve in making tea from high altitude and natural farming tea are yet to start the production. I have visited many tea production areas in the past ten days. 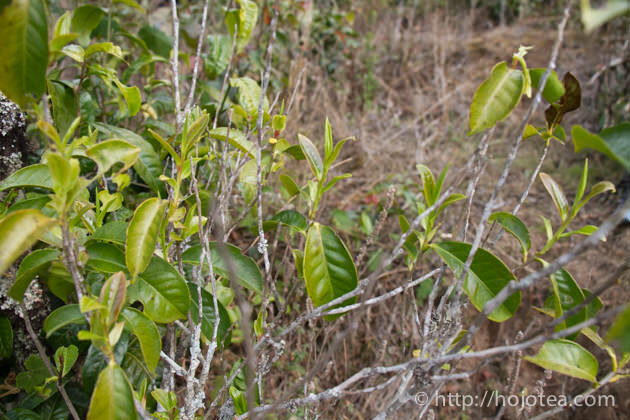 Obviously at the natural farming tea garden, especially at high altitude, the tea trees still remain “dormant”. Till now, I have only managed to purchase some wild tea and needle type of white tea. We have some rain this week. It’s not heavy rain all day, but usually showers at night. 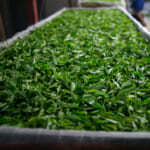 We are expecting a lot of teas are ready for plucking from next week onwards. I will monitor the weather very carefully and will only pick the teas that produced on sunny days. 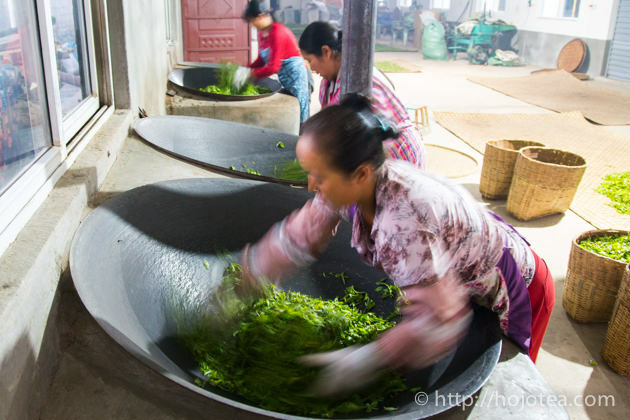 In general, every place in Yunnan has a delay in the tea season for about 10-14 days, while some of the tea production areas in other provinces experienced the similar situation. 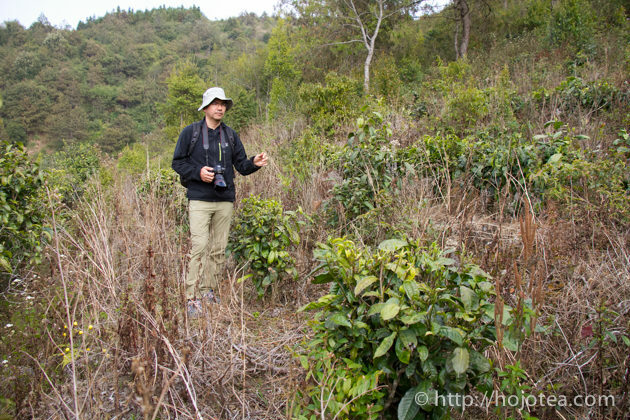 When we visited the tea manufacturers, we observed some teas were being produced. These teas are mostly from the tea garden located at lower altitude, from younger tea trees or fertilized tea gardens which quality is not the best. 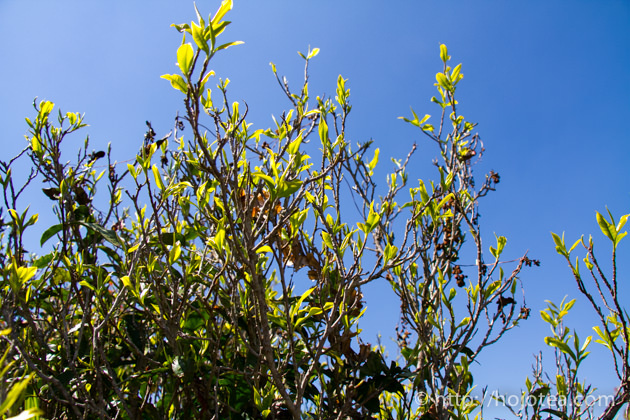 Usually, the old tea trees or trees grown at higher altitude grow slower, and we are expecting it to be ready about a week or two later. I observed that the economy in China is slowing. Generally, the price of tea as compared to last year is not increasing. However, the price of natural farming tea seems all increasing. 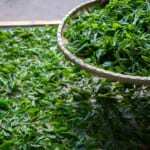 It is due to the situation that the natural farming tea is obviously decreasing year by year, and yet the demand of these natural farming teas is increasing. I anticipate that the procurement of natural farming tea will be getting tougher in near future in terms of quantity and price. I am planning to purchase those naturally farmed tea more than I need for now in order to prepare for the future. 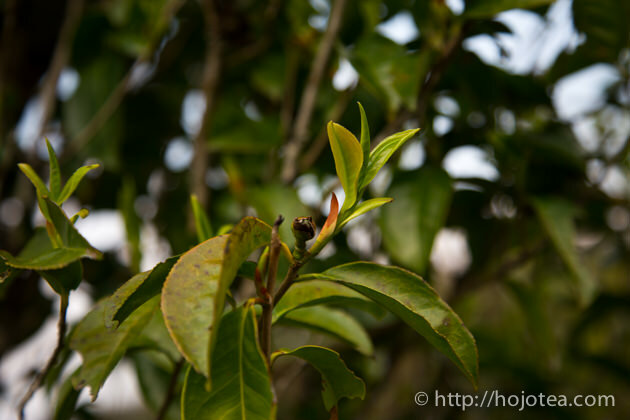 The wild tea of Camellia taliensis is usually plucked earlier in the season. 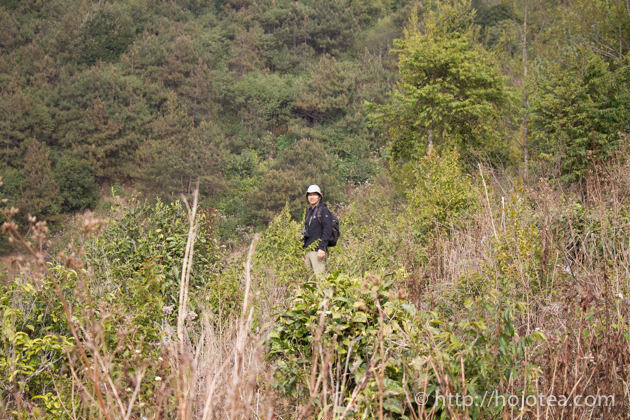 Since last week the harvesting of wild tea started gradually. 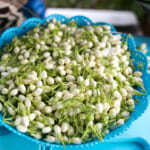 In ordinary year, wild tea is ready on about 16th to 20th of March. In this year, there has been much delay in fact. 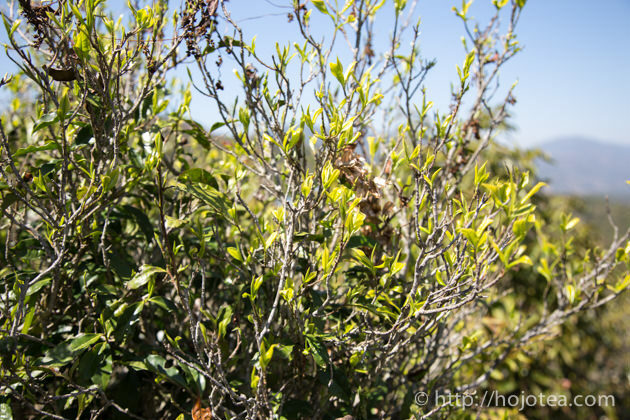 In recent years, the demand of wild tea is drastically increasing. 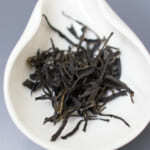 It is due to the increasing demand of wild black tea. 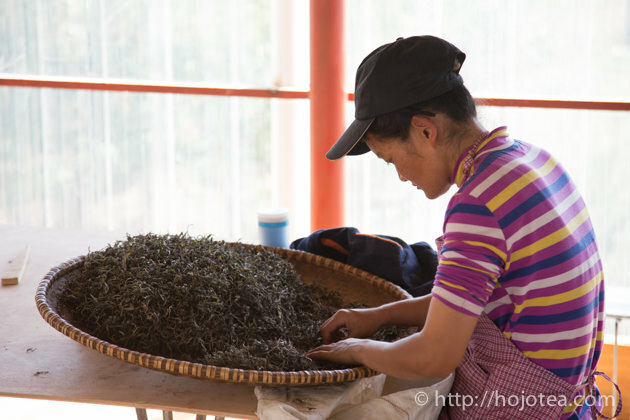 There are more black tea manufacturers collecting the fresh wild tea. 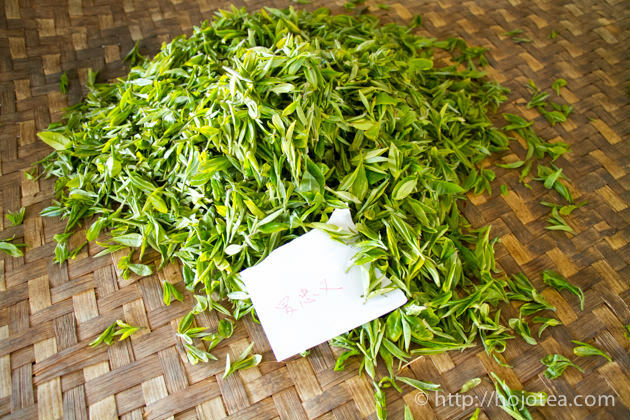 At the moment, the price of wild tea stays high due to the limited supply. I am hoping that when more teas are available, the price will slowly come down. Looking at the market situation of wild tea from last year till now, the price will continue increase in future. 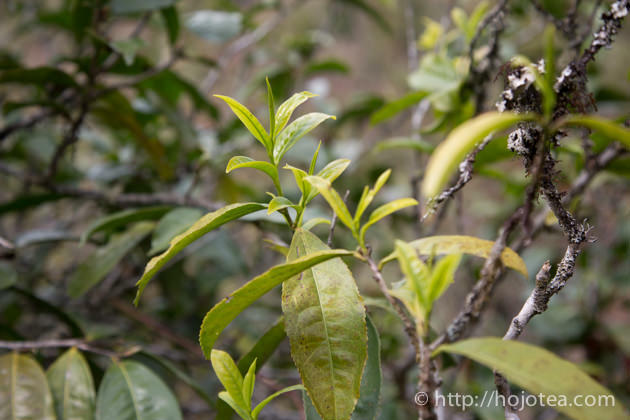 There will be more demand on wild tea, yet the supply is limited. I wish to be able to purchase the right quality this year at the affordable price. 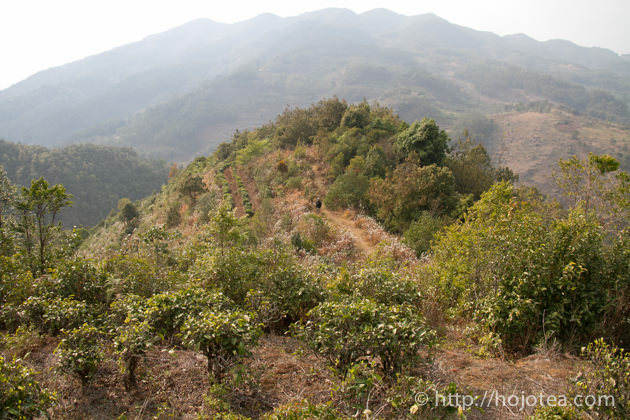 Looking at the trend, it would be wise to keep more wild pu-erh tea before the price becomes too high. 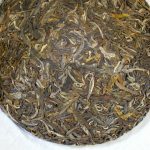 I am planning to release the Da Xue Shan Wild Pu-erh tea this year on pre-booking basis only if the quality is acceptable. I think the quality of Da Xue Shan we purchased in 2016 was excellent. 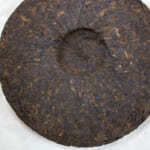 Although we compressed the Da Xue Shan Wild Pu-erh tea into cake, it was sold out in less than a week. Hopefully we can get the more quantity this year. 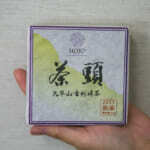 We are also planning to release Da Xue Shan Wild White Tea in loose form (mao-cha). I will write about these teas in my blog later. 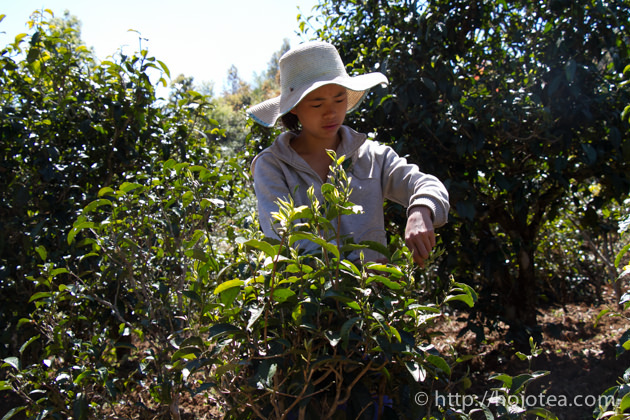 In general, most of tea buyers come to Yunnan at the end of March or early April. In normal year, this was a good timing. Most of the teas were ready and they could select teas on the spot. However, only those who are very particular about the quality usually purchase tea on the pre-order basis. They knew without pre-booking the special teas were not be available. I had not known this point until 2014. 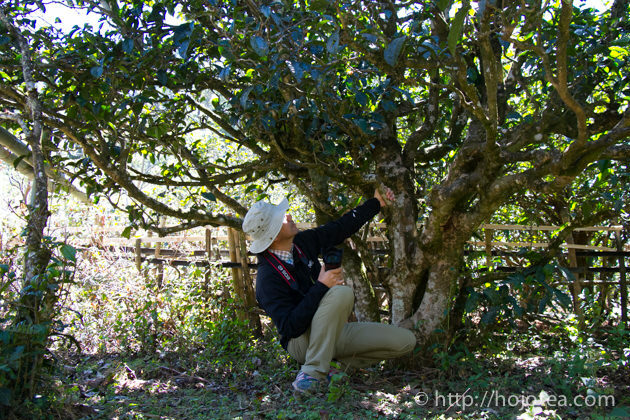 For 5 years, I visited Yunnan and selected tea on the spot. In other words, selecting tea used to be my job. Sometimes I came across with very good tea. But those teas were reserved for other customer. 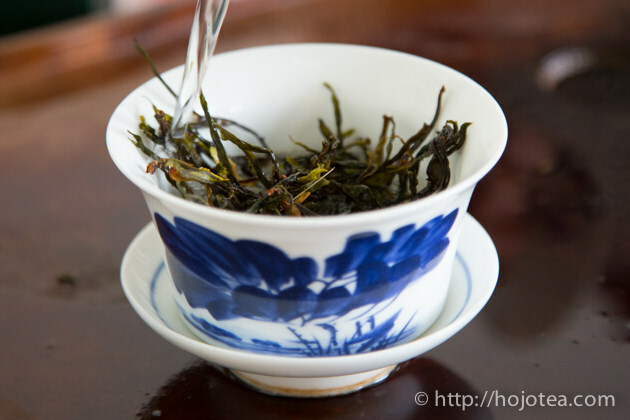 I learned that it’s very crucial to make a pre-booking for special tea before the beginning of tea season. Since 2015, I changed my strategy. 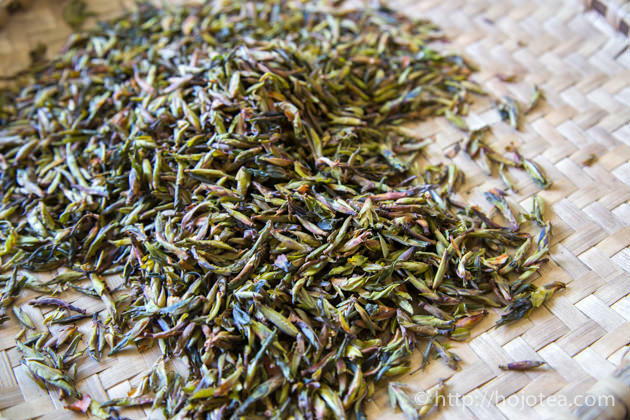 I started placing the pre-order for all types of Yunnan tea. In 2016, we have made further improvement. We have had thorough understanding on different tea production areas, and we have built up strong foundation with tea manufacturers. 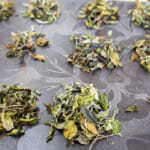 We decided to identify the source of tea, specify the plucking method and we determine the parameter of tea processing. 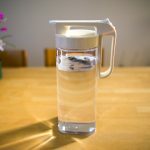 Our tea manufacturers are willing to collaborate with us for these custom-ordered teas since we have been working side by side for a long time. We always discuss about each detail even before tea is budding. Our original method is not only applied for the new product but it is also applied for the enhancement of existing product. 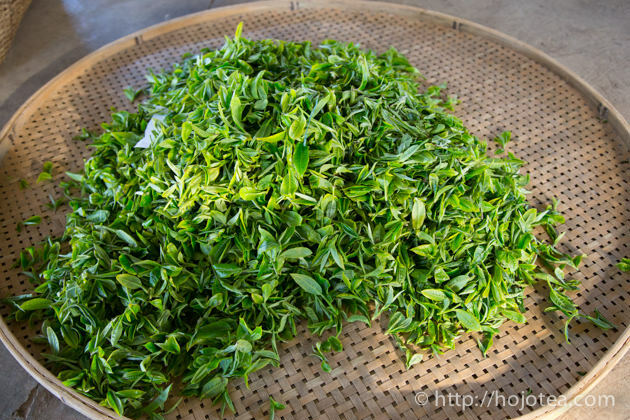 For example, we carry out the experiment for white tea and pu-erh tea on withering time and drying method. It is indispensable for us to come earlier so that we have time to discuss and run the experiments with tea manufacturer before we decide on the final processing parameter. I will write the progress of our travel and products from time to time. Please pay attention to our articles.